Certainly we are nearing a “too much” point in terms of concussion for most of the country. For others this is just the continuation of what we have been doing for years. From a personal perspective I do like the attention that the discovery process is getting. I am all for people getting all the info possible to make informed decisions. I want to take this particular space in this post to assert that I am not – nor have I ever – been against any sport including football. I am, transparently, supporting flag and non-tackle football until high school. Yes, no scientific evidence proves this helps/hurts, but in all my work and research I am of the opinion that less dosage of repetitive brain trauma is better for humans. That is where we stand, the issue really is one of repetitive brain trauma (RBT), not of sports or accidents or leisure activities. As Dr. Omalu clearly stated in his interview with Matt Chaney in 2011 and again today with Mike & Mike (hour 4); the brain does not heal itself. Damaging it, even on the microscopic level can and will leave a lasting impact. This is not just assumption, it is noted in many different studies regarding brain health after activities (see Purdue). I am confident that with proper healing time and avoidance of re-injury the brain will find a way to function at or even better (proper learning and congnitive functioning) as people get older. The management of not only the “gross” injury of concussion and TBI is one that is getting better and as we get more research the management of the subconcussive hits and exposure, that too will be satisfactory. What we all must do is take off the “emotional pants” and wade through the muck to find out what is important for us to make decisions for those that are not capable or even legal. 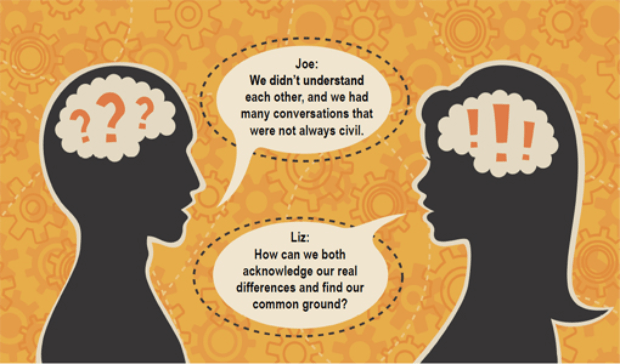 Part of this is discourse and discussion (civil would be best). Everyone will be challenged intellectually and morally with this – it’s OK.
Coming to a bookstore and TV near you today is “League of Denial” a book and documentary about one of the dirty little secrets the NFL has been avoiding for some time. Fortunately, I have been provided with advance copies of both; the Frontline film was easy to digest, as for reading a book, well we can just say I am trying to read as fast as possible. I was reminded quickly, yesterday via Twitter, that I may lack valuable perspective when it comes to concussion information (and that I am not normal – this is not breaking news). Will Carroll of Bleacher Report let me know that this information will be new to a lot of people out there. He is exactly right, not only that, this documentary will be easily digestible for the fan of football. For any person just wading into this, when you tune into PBS tonight to view “League of Denial” you will be absolutely hooked from the start. The sounds of the crowd, visuals of big hits grab your football part of the brain IMMEDIATELY, over those sounds you will quickly discover the problem NFL players have faced with brain injuries playing their sport. Harry Carson saying “and then they are gone” when talking about former players. A bold statement that the level of denial was “just profound.” An NFL lawyer saying “we strongly deny those allegations that we withheld information or misled the players.” And more video and sound of punishing hits that used to fill the highlight reel bring the opening curtain of this very important documentary. This problem is real – it’s not just real for the professionals – and from the get go Frontline makes you understand, vividly and personally, why this is. After listening to old radio calls of the Steel Curtain it all begins with the story of Mike Webster and the forensic pathologist who studied his brain, Bennet Omalu. The discovery of a possible reason one of the most respected and lauded players in Pittsburgh sports pantheon fell from grace and eventually found and early demise. If the football portion of your brain does not connect to what is being presented then I would haphazardly guess that you are not ingrained within the fabric of football. As Harry Carson explains how the game was played and to some extent how it’s still played you can begin to understand the issue at hand. This is hammered home when Robert Stern, PhD tells the audience blows to the brain are at forces 20 times greater than the force of gravity (20 G’s); or as he so eloquently put it “driving into a brick wall at 35mph”, 1,000 times or more in a season. In the first 11 minutes of this 2 hour presentation you are at full attention and want to understand the “whats”, “whys” and “whos”. If you are not engaged and ready for further explanation I can only say that you don’t care or want to bury your head in the sand. The University of Pittsburgh Medical Center and the University of Pittsburgh did something that has not been done up to this point; an intensive study on youth football. Using geography as its selector the prestigious group looked into Pop Warner football and concussion rates. The sample size is impressive, over 11,000 athletic exposures over an entire season of play (2011). For a long time the “father” of CTE, the first pathologist to find/identify the disease in an American football player, Bennet Omalu has been relatively quiet; going about his normal business and continuing his work with CTE. Last week he was highlighted on the ESPN Outside the Lines/PBS Frontline story about the Junior Seau death aftermath. Well, we just wrapped up our 2013 Football Vets’ Conference in Las Vegas at the South Point Resort and it was our best yet! In two packed days, we covered everything retired football players need and want to know, from concussion lawsuits to CTE to visual rights and everything in between. Our sessions were packed and no one wanted to miss a single discussion. And thanks to the amazing Jennifer Thibeaux, all of our discussions from Friday are already processed and uploaded so you won’t have to miss a minute of it either! Thanks to Dave we can bring you the entire talk by Omalu – although over an hour its worth your time. 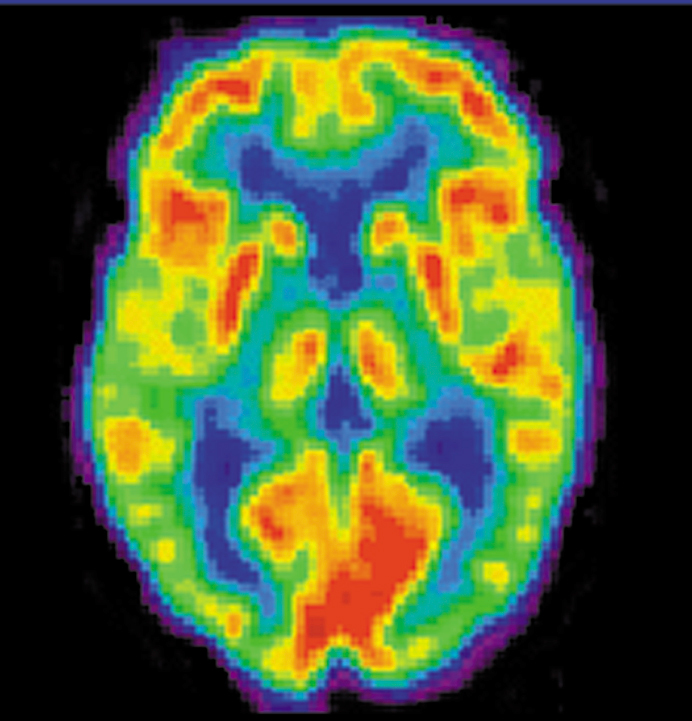 If, in fact, this PET scan can find and map out the tau in living brains this would be a “watershed” moment in the treatment of CTE. This would be because we have not been able to treat CTE, the only way to find CTE is via a posthumous examination. I believe this is very exciting, but remember like all things in life, caution is needed – the study was only five former NFL’ers and to fully confirm the information gathered the researchers could be waiting a long time, hopefully. A quick side note here, Dr. Bennett Omalu is a co-author on this study, which isn’t ironic as some have suggested, rather a product of his good work in this area. For those in the “know” surrounding research in concussions and CTE finds this part of the story – Omalu – “interesting”. What a great start, and I am willing to be scanned if anyone wants to pass that along! I would even write a blog about my experiences with it. Time is short on this, I understand, but I just was dropped a note about this symposium being held in Chicago. Once again yours truly has “commitments”, this time it is a wrestling dual tournament – where my services are needed more. Regardless, when I looked at the faculty list and the speaking topics my interest was piqued. BIG NOTE here it is only $25 for athletic trainers to attend ($60 for physicians). The lecture is going to be directed by Julian Bailes, MD and David Firm, MD, PhD, both unheralded leaders in the field of brain injury. What is more interesting than that is the fact that two relative “quiet” doctors will be presenting their information. Both of these men are “controversial”; one is seen as an extreme outsider by the NFL and the powers that be in their corner – Dr. Bennett Omalu the other has had his share of issues, mainly in the press (see Irv Muchnick), for previous perceived mishandling of concussions in the NFL and WWE – Dr. Joseph Maroon. The Fifth Estate of CBC aired a documentary on the “Greatest Football Team Ever” in Canada, not as a retrospective homage to the good times, rather as an unfolding mystery. The most peculiar thing about this very good documentary is that it was originally aired, not a year ago, not even two but in 2008. Much has been discovered about repetitive brain trauma since 2008 the video is haunting just to view it with “today’s” eyes. They have been called the greatest football team in the history of the CFL — the Edmonton Eskimos of the 1970s and ’80s that won five consecutive Grey Cups. But, for some of the star players on that team, the years of triumph ended ingloriously in early deaths, from heart attack, suicide and misadventure. The tragedy of those early deaths was often compounded by alcohol or drug addictions, probably caused by another, less visible, killer. Recent research by neuroscientists now shows the link between on-the-field concussions and brain damage; a permanent injury that can lead to depression, suicide and severe aberrant behaviour. The damage is so profound, the researchers say, that post-mortem examinations of the brain tissue of five former professional football players can be compared only to the tissue found in the brain tissue of advanced Alzheimers cases. Unfortunately I cannot embed the piece you can CLICK HERE to see it in full. 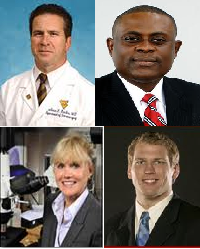 You will get to hear from very important people who are not nearly as high-profile as those hailing from Boston; Dr. Julian Bailes, Garrett Webster, son of Mike Webster and Dr. Bennet Omalu. Two research groups — the Brain Injury Research Institute and Boston University’s Center for the Study of Traumatic Encephalopathy — made bids to persuade Seau’s family to donate his brain to them within 24 hours after the Pro Bowl linebacker’s death. “Either they get it or we get it,” Bailes said Thursday before the Seau family told BIRI it would donate Junior’s brain to the Boston researchers. Bailes said it could help researchers determine if genetics play a role in CTE, or whether concussions — as opposed to repeated, but less serious, blows to the head — are necessary to bring on CTE. Shortly before this blog began in September of 2010 there was a brilliant article written in Bostonia regarding the work that Boston University was doing. This article did not fall into my lap until yesterday during the Junior Seau reporting, it was found tweeted out by none other than Will Carroll, @injuryexpert. Interviewer: Is there any evidence, as far as you’re concerned, that links multiple head injuries among pro football players with depression? Interviewer: With early onset of Alzheimer’s? Interviewer: Is there any evidence as of today that links multiple head injuries with any long-term problem like that? The hot button topic in the research world with concussions is chronic traumatic encephalopathy (CTE), the degenerative brain disease, twin (fraternal) sibling of dementia pugilistica first found by Dr. Bennett Omalu. This brain disease is debated and some times discounted (as you will see tomorrow) for its links to repetitive brain trauma, i.e. multiple concussions. It does however have a place in the discussion with combative sports like MMA. The damage, he noted, was not extensive enough that it had caused irreversible trauma. But had the fighters continued to compete, he believes they would have been candidates for CTE. Irvin Muchnick is a writer and investigative journalist who previously mainly focused on the WWE. Muchnick has changed gears a bit and started Concussion Inc, a website focusing on the head injury issue. Irvin Muchnick is a writer and investigative journalist writing focusing mainly on the WWE. Muchnick has been heavily involved in the concussion issue in the WWE and its crossover as well. An examination of the Newspaper of Record’s coverage over the last six months suggests that the answer is it is leading us to a world made safe for the National Football League and its $9-plus billion in annual revenues. Despite the contemporary campaign of “concussion awareness” and “culture change” for tackle football, as game officials and media promote, America essentially remains insensitive to brain disorder in victims and especially athletes. 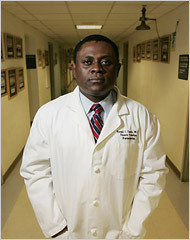 “Generally speaking, mankind does not empathize with brain diseases as well as with physical ailments; there is this negative response, culturally, for diseases of the brain,” said Dr. Bennet Omalu, the forensic pathologist who first discovered cerebral damage in an American football player, deceased NFL lineman Mike Webster. Current purveyors of the theory, led by Chris Nowinski and Dr. Robert Cantu of the Sports Legacy Institute, and NFL commissioner Roger Goodell—who funds the Nowinski nonprofit with $1 million—propose action reminiscent of the plug-in electric football game, with plastic players bumping across the vibrating surface, hooking at shoulders in ring dances. And that’s only the beginning of hocus-pocus remedy for rampant head injury in American football. While mysteries are daunting for the problem, like positive diagnosis of concussion, mere clinical intuition guides the varied protocols of diagnosis and judgment for when players are fit to compete again. No random clinical trial of legitimacy has been attempted. “It is scary,” said Dr. Lester Mayers, concussion researcher of Pace University athletics, who joins experts like Dr. Bennet Omalu in sounding alarm over football’s touting concussion testing, which is parroted by media. These critics warn football conducts dangerous “concussion management” based on incomplete research for assessing symptoms, and many brain-injured players are prematurely returning to contact, all ages, typically within days. ABC has run a very extensive story about head injuries in sport (see football) in light of the Duerson suicide. The article is good but what is striking are the videos associated with it. Not only the embedded video on the first page, but the sourced videos below it, mainly about Mike Webster (Driven Mad?). As we should know Omalu is the godfather of CTE, he first found it with Webster and subsequently other former NFL’ers, once called a “doctor of Voodoo medicine” Omalu has some of the best perspective on this injury.